SPRINGFIELD, Ill. – A.J. 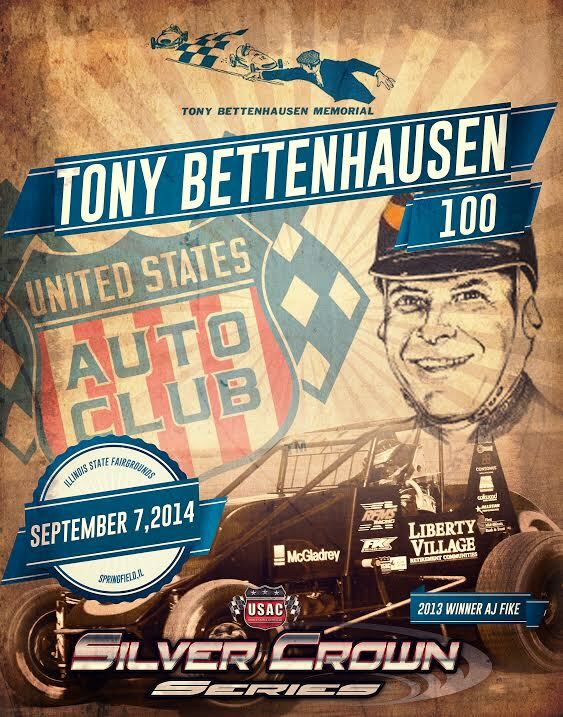 Fike of Galesburg, Ill., goes for a rare three-peat when the USAC Tony Bettenhausen 100 for Silver Crown cars roars into action on Sunday, Sept. 7, in a complete show on the Springfield Mile at the Illinois State Fairgrounds. The Bettenhausen 100 will include practice, time trials and the 100-lap race after being rescheduled from two weeks ago. Tickets from the original date will be honored on Sept. 7. Combined with a POWRi midget program at Macon Speedway on Sept. 6 with double features in the midget and outlaw micro divisions, it’s an open wheel weekend.